A fun indoor activity during the cold winter months in New York City is to explore the city’s many excellent antique shops. Some shops, like Demolition Depot (216 E. 125th St), Obscura Antiques and Oddities (207 Avenue A at E 13th St), Furnish Green (1261 Broadway, between 31st & 32nd St), and White Trash ( 304 E. 5th St), seem to appear on most of the top shop lists. But there are also many antique shops tucked away on side streets that waiting to be explored. Check out Manhattan Sideways’ long list of antique shops. FourSquare’s list of The 15 Best Antique Shops in New York City incorporates FourSquare ratings and user comments. TimeOut’s Best Antique Stores in NYC includes an eclectic list of seven favorite shops. New York Artistic Design and Build’s Quintessential List of NYC Antique Shops. This architectural renovations firm has done their share of searching NYC antiques shops while searching for hard-to-find items. 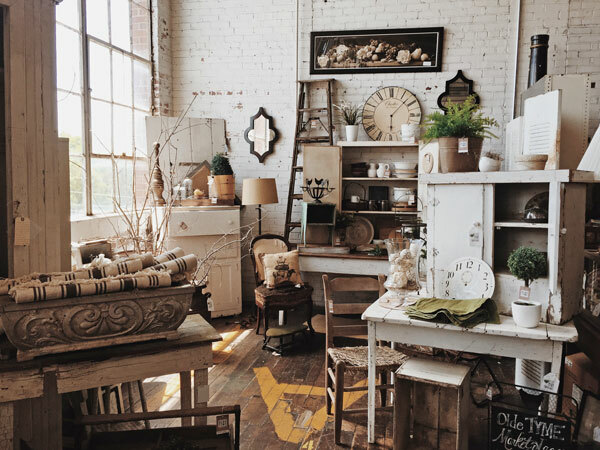 6sqft’s guide to The Best Places to Buy Cheap Vintage and Antique Furniture in NYC lists shops with not just furniture, but antique jewelry, mid-century modern furnishings, and more at reasonable prices.